Shopify has so many features inbuilt which allows you to run a successful online store but even if you need a feature which is not in Shopify, you can easily add that feature using the Shopify Apps. Shopify has an app store from which you can find any app to add desired features in your store. If you need an SEO app, Loyalty app, or even if you want to convert your store to a mobile app, Shopify’s app store has many apps to provide these features. Shopify app store has a more than 2000 apps, including free and paid ones, which can help you increase the sales or expand the functionalities in your store. The very basic question that every store owner ask atleast once, which Shopify apps are the best? Almost all the Ecommerce stores have a mobile app as well for their customers which they can install and buy the products. Having a mobile app for your online store is one of the best way to saty connected with the customer and provide them a convinient way to buy products any time without browseing the website. Mobile app creator by Plobal Apps from India is one of top rated app and I would say one of the best app which allows you to create a mobile app for your Shopify store in few clicks. You will get a mobile app without any hazzle of hiring a mobile app developer and it saves a lot of money that required for hiring a developer. Give it a try. This is one of the most popular app on shopify app store in paid apps category and also the largest selling app as well. By using this app, you can increase the total amount of every sale by upselling the products. When a customer is adding product to cart, you can show them related or additional products in popup and prompt them to buy that as well. Customers may forget what you said to them but they’ll never forget how you made them feel when they visited your store. Flits help you to convert the look of the customer account page giving it a special appeal by including the summary of store credit, reorder, recently viewed products, customer profile, delivery address and change account password. The wish lists reduce the cart abandonment and initiate the sales from the customers who didn’t end up purchasing. The app also provides a multipass login and a social login at checkout for the Shopify plus merchants. Lookbook app for Shopify makes to first position in our list because of many reasons. Almost every ecommerce store needs a Lookbook or image gallery to showcase the product photos or lifestyle photos. The Lookbook app is a feature rich shopify app that allows yout o create unlimited Lookbooks and make them shoppable by tagging products on images. Product tagging is the key feature that makes it different from many other Lookbook apps available on app store. This app helps you to show the orders placed by real customers from the cities on an animated map. The proof maps increases the trust among new customers in your store and encourage them to purchase more. The app works in real time, once to set up the app it will start working for you. You can customize the number of orders, colors, labels and the maximum age of orders on the map. The app boosts the profits for your store by decreasing the suspicious feeling of the new customers. EasyDash app improves the workflow of your store and helps you to manage the store and save a lot of time. Using the app you can manage your store while browsing as the app allows you to edit/add/delete products, collections, pages, and articles from the back-end admin dashboard. The app is easy to install and do not requires any coding, it also reduces the ache of multiple clicks and waste of time in refreshing the pages. Once you start using the EasyDash app, you will realize how easy it is to manage the store and won’t wish to live without it. Showing multiple variants of your products is now easy with the Variant Image app which automates the variants of a product together without overcrowding the product page. Using the image automator decreases the chances of a duplicate description of similar products on the store. You can create a better user experience by arranging the product catalog and make the customers more confident while comparing all the available variants of the product together. The app brings conversions for your store and improves the product listing by showing all the relevant images in a variant. You don’t need to assign images to the variants as the app is 100% automatic. Using this app, you can sync your shopify store products with the Google Merchant Center easily. Your products will be on shopify but will be shown on Google Shopping. If any changes occur on your shopify store, it automatically get updated to Google Shopping as well. It helps you increase the visibility of your products. Setting up Google Shopping is not an easy task, but this app made it super easy. Try it, its FREE. Understanding the buyers is the core importance for any ecommerce business success. This app acts as a link between the buyer and the sellers which increases the mutual trust. It’s a perfect way to collect the customer feedback and understand why they are buying your products. The app helps to increase the conversion rates by adding the positive reviews or the comments by the client after buying a product on the checkout page. You can create and improve the marketing campaigns based on the comments of the customers. It becomes easy to understand the improvements in the product, find new product ideas and USP of current products. Isn’t it amazing? By Testimonials Showcase app, you can show the testimonials/reviews from your customers to increase the authenticity and trust among new customers. It is also a good way to increase conversion rate and works well for your site seo too. With several customization options in admin to select layouts, colors and number of testimonials etc, this app provides you good features to showcase your testimonials on site in a cleaner way. You can show it as a slideshow or in a grid format as well both on homepage and a dedicated page as well. The interactive coupons pop up by WooHoo provide a playful and interactive spirit with the gamified email capture process which impresses the customers and boosts the conversions and sales at your store. WooHoo increases the customer engagement on your store by email capture and the stunning pop-ups. The WooHoo games like the wheel of coupons, pack a gift, card dance and reel of coupons make your customers feel special and valued by making them win the discount coupons while you collect their emails. Follow up 1:- This is primarily used as a reminder to what they have abaondoned. Ideal time:- After 1 hours, 4 hours or 10 hours. Follow up 3:- This should be the final follow up, you can make the offer again or collect the feedback about the reason for their cart abaondonment. Ideal time:- After 24 hours, 48 hours or 72 hours.With conversion ratio over 20% this is an worth trying. Sumo helps you to grow your eCommerce business by it’s proven sales and marketing strategies. You can double the business revenue and reduce the cart abandonment by converting the visitors into email subscribers which will grow your email lists fast. Sumo can create discount codes, pop-ups, and smart bars. You can also see the ROI from the email subscribers and the sales you make using the app. Product Bundling is a strategy used by the store owners to increase the profits and sales over the time. The Product Bundle app developed by Thimatic helps you to grow the sales of your store by selling multiple products in a single combo. Creating custom product bundles help you to move out the non-selling products in the store as you can add an unlimited number of products and show the discounts anywhere on your store. You can customize the layout and style of the bundle on the product/collections page by selecting the start and end date of a bundle which will be auto-published by the app. Yotpo Review app helps in getting your product reviewed easily from your customers. Having reviews on prducts increases the trustworthiness of your store. A site that has reviews get more sales as visitors mostly purchase from a site having reviews. 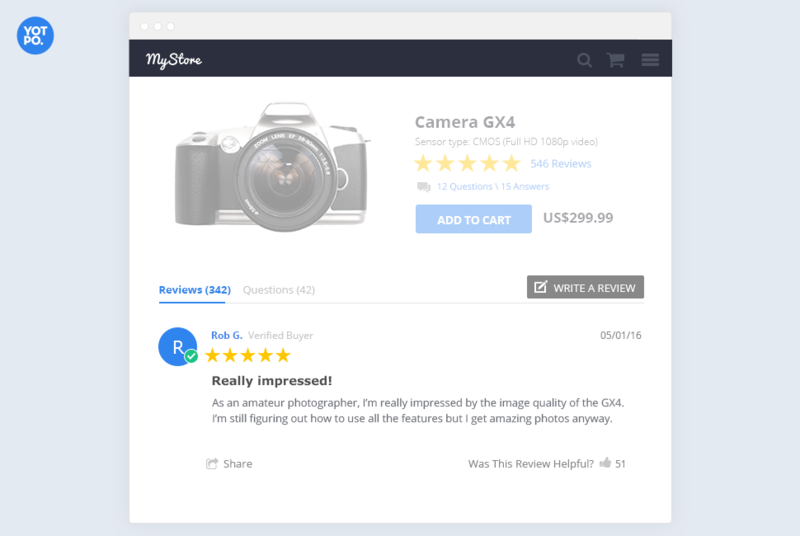 This shopify app is helpful in many ways like it sends email to every customer after few weeks of the purchase and ask them to review the product. The best part of app is that it allows customers to leave the review right from their email as well so it increases the chances to get the product reviewed. The feedback will be added to corresponding product directly. The reviews can be shared on social media as well. Inkybay developed by Products Designer is a powerful design tool which allows the customers to design the product by their own. The Web-to-Print solution in the app helps the customers to visualize the perfect products. Inkybay helps your business and the store owners to sell the configurable products like mugs, t-shirts, mobile cases, business cards, awards and more. The app has an easy admin panel with versatile functions and the software can work with any printing methods. Inkybay proves to be the best for Shopify owners selling products for customizing. Word-of-mouth marketing works a lot to drive the sales and create a brand awareness. You won’t know but, 50% of businesses lack in the referral program, and this leads to a fall in their sales. ReferralCandy is referral marketing tool by Shopify which helps you to launch a marketing campaign in minutes. You can reward your customers for sharing your store with their friends using the ReferralCandy tool. Customize the rewards and encourage your customers to spread your store. Try these Best Shopify apps, and monitor the results for few weeks, you will definitely see an increase in your sales. Nice apps, thanks for sharing. I’m inlove with a Shopify app called “SimplyTick” now – it’s a reporting solution which helps me collect all my sales data in one place. I found it on their website (http://simplytick.com), but it’s also available to download from Shopify app store. It’s free and easy to use.